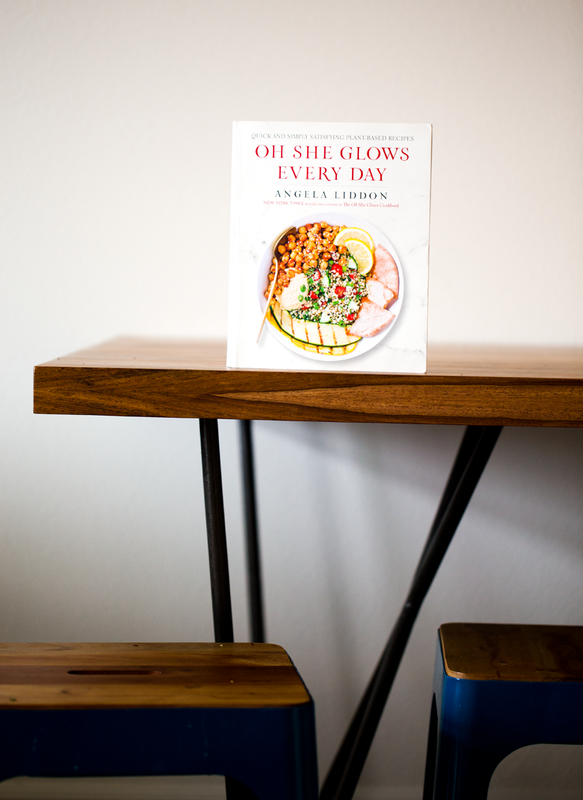 A while back I received Angela's new cookbook, Oh She Glows Every Day. And I am excited to share it with you guys today. Angela Liddon is the lovely soul behind the beautiful blog, Oh She Glows. 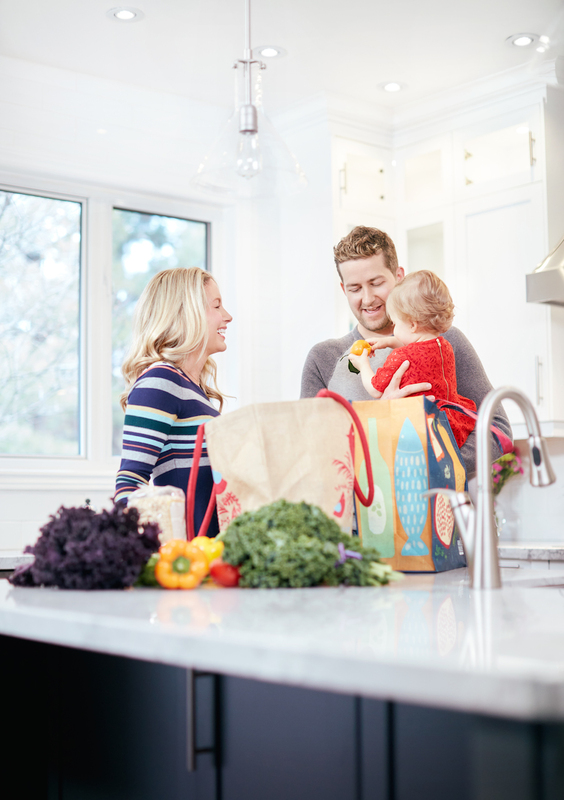 Not only does she create gorgeous, nourishing, delicious (plant-based/vegan) recipes on her blog, but her cookbooks offer up even more recipes and little glimpses into her kitchen and life. 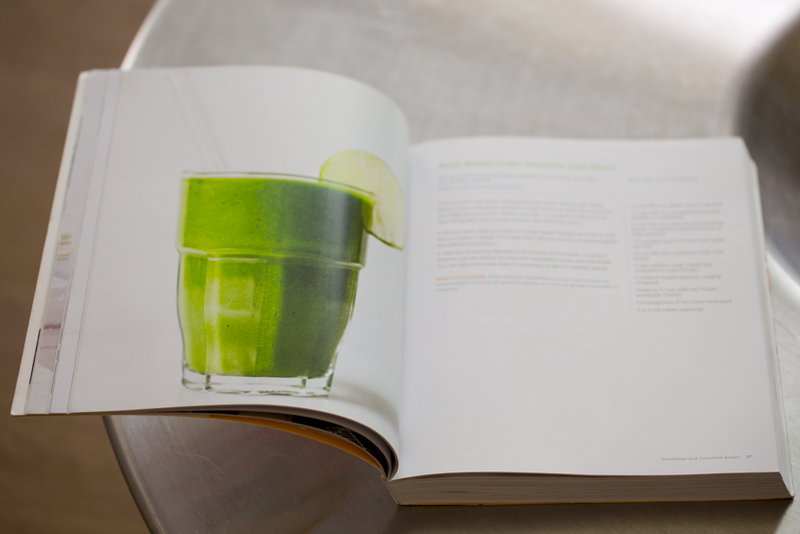 I know that writing a cookbook is exhausting and hard - a labor of love and maybe a few tears. So every time one of my friends or fellow bloggers sends their new book my way I am SO honored to browse the pages and take a peek inside. Today I am sharing which recipe I tried first - whipped it up on this lazy Sunday afternoon - as well as a recipe from her cookbook that YOU can try ASAP. 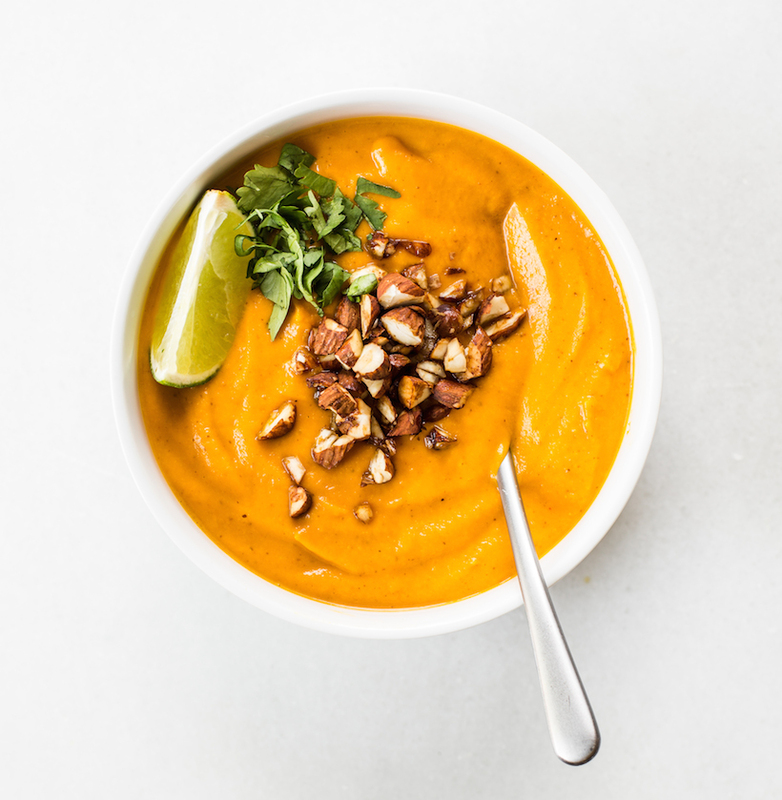 Let's get glowing..
Fall Cookbook Season! 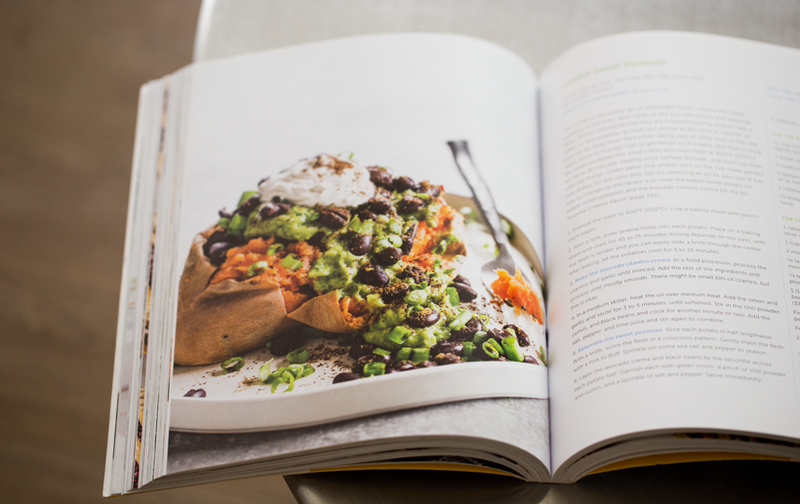 I recently shared a whole bunch of amazing vegan cookbooks that just came out or are coming out soon - in this post - but today I am happy to zero in to Angela's book. What to make first?? So I have been browsing Angela's book for a good few weeks already but with such a busy posting + life schedule this past month I wasn't able to really dig my claws into it with good measure. Until today. Lazy Sunday. The sky is all grey and milky and the air calm and quiet. Perfect cooking day!! I decided I wanted to make something with chocolate in it. Because, well, chocolate.. So I narrowed my decision down to either Secret Ingredient Chocolate Pudding or Flourless Brownies. 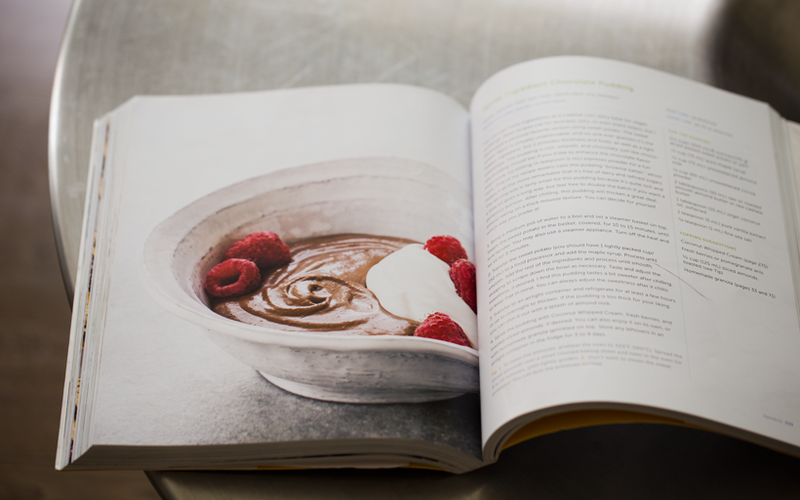 I don't really know why but I always go for chocolate recipes when I first get a cookbook! As was the case with my friend Jason's cookbook, with Superfood Brownies. So I went with something super easy but creative: Angela's Secret Ingredient Chocolate Pudding. I loved her spin on this classic recipe. ..I whipped the pudding up (so easy!) and poured the velvety-rich chocolate mixture into clear glass serving cups and placed them in the fridge to chill for a few hours. The results were delicious!! This pudding reminds me a bit of a silken tofu chocolate pudding, but with an even richer silky texture and a more complex sweetness. I love the "secret ingredient" she adds to it as the base of the pudding! I love Angela's writing, her little tips, notes and stories about her life and how she eats. 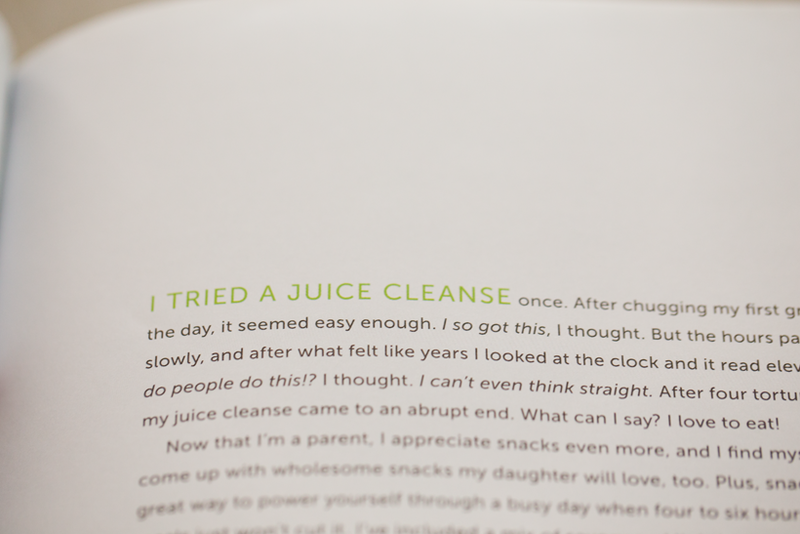 Like this intro about trying a juice cleanse. Once. Haha. Loved it.. 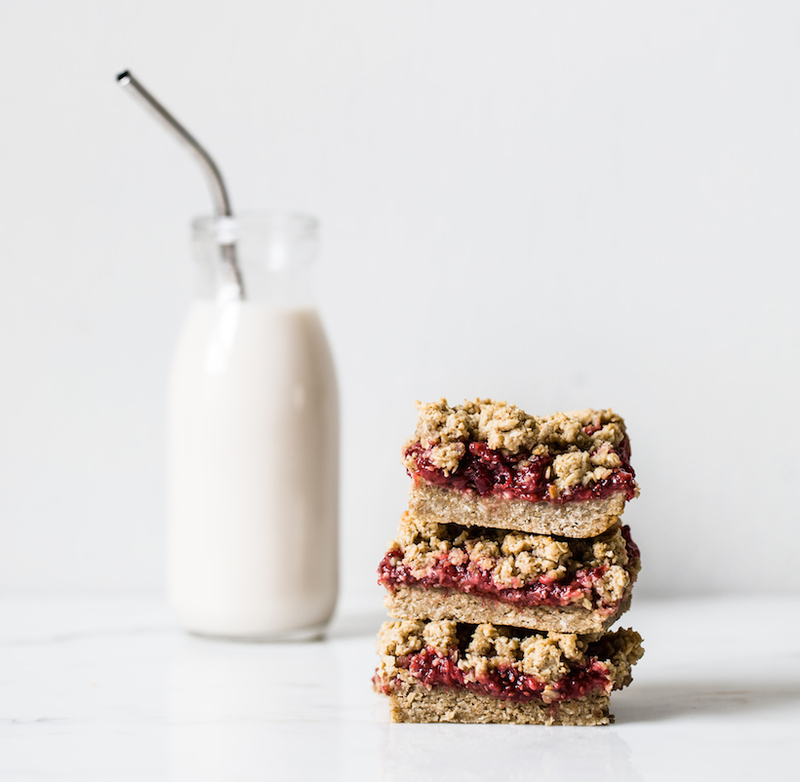 The recipe I am sharing today: Strawberry Oat Crumble Bars.. If desired, roast the sunflower seeds:Preheat the oven to 325 degrees. Spread the seeds over a large rimmed baking sheet in an even layer. Roast 9-12 minutes, until lightly golden in some spots. Remove from the oven and set aside. Increase the oven temp to 350 degrees. Line a 9-inch square pan with parchment paper, leaving some overhang, which will make it easier to lift out the bars later. in a food processor, combine the sunflower seeds, oats and salt and process until you have a coarse flour. In a small pot, melt the oil over low heat. 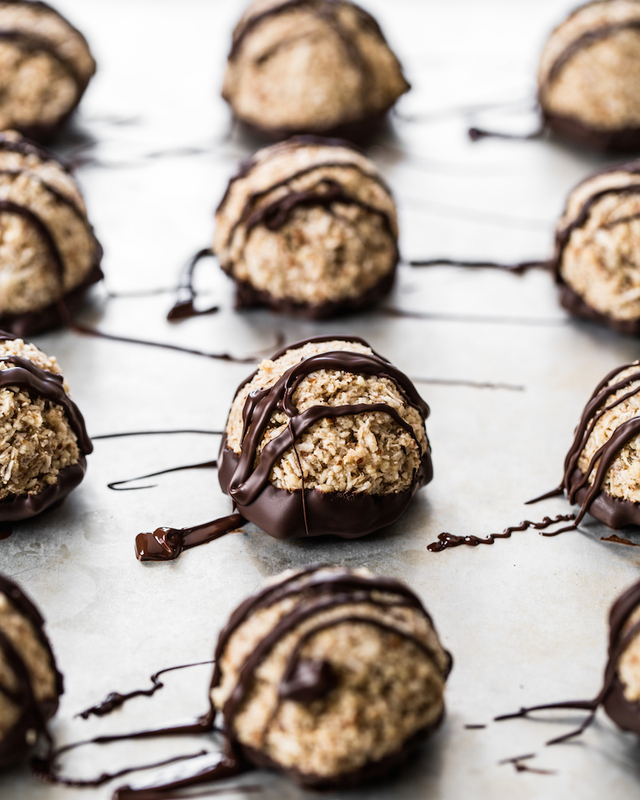 Remove from the heat and whisk in the maple syrup, brown rice syrup, and sunflower seed butter until combined. Pour the wet mixture on top of the oat mixture in the food processor and process until the mixture comes together, 10 to 15 seconds. The dough should feel quite heavy and oily, and there shouldn't be any dry patches. If there are, process for 5 seconds more. If for some reason it is still too dry, try adding water, a teaspoon at a time and processing until it comes together. Set aside 1 1/4 cups of the oat mixture for the topping. Crumble the remaining oat mixture over the base of the prepared pan in an even layer. Starting at the center, push down with your fingers (you can lightly wet them if they stick) to spread out and pack down the crust. Press the dough down tightly. Even out the edges with your fingertips. Prick the crust with the tines of a fork about 9 times to allow steam to escape. Parbake the crust for about 10 minutes. Remove from the oven and let cool for 5 minutes. (If the crust puffed up while baking gently press down on it to release the air.) Spread the jam in an even layer over the crust. Crumble the reserved 1 1/4 cups oat mixture evenly over the jam. Bake uncovered, for 14-18 minutes more, until the topping is lightly firm to the touch. The topping will not turn golden in color, it will remain the same shade as it was before baking. Let cool in the pan on a baking rack for 45-60 minutes, then transfer the pan to the freezer for 30 minutes until completely cool. Lift out the slab and slice it into squares or bars. Leftovers can be stored in an airtight container in the fridge for several days, or wrapped up and stored in the freezer for 4-5 weeks. Reprinted from Oh She Glows Every Day by arrangement with Avery Books, a member of Penguin Group (USA) LLC, A Penguin Random House Company. Copyright © 2016, Glo Bakery Corporation. Photographs copyright © 2016 by Ashley McLaughlin. 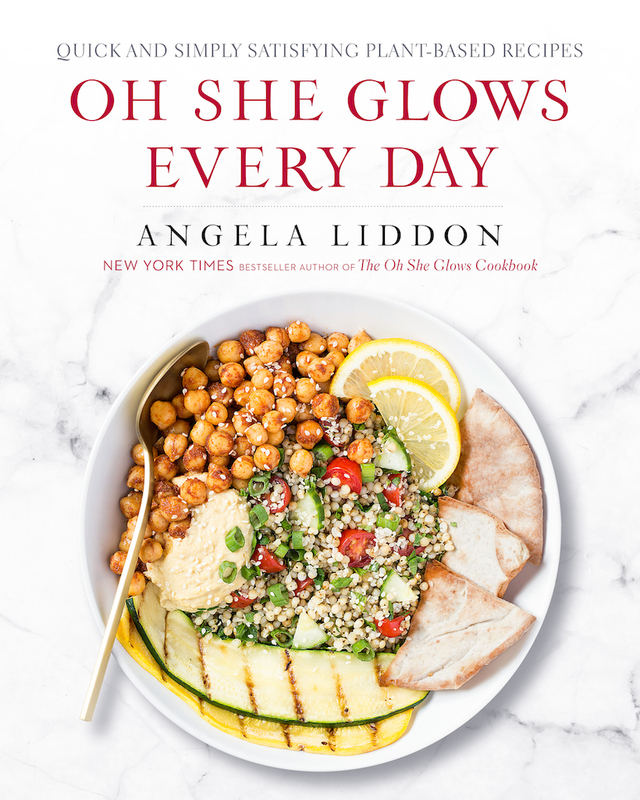 Buy Oh She Glows Every Day on Amazon.